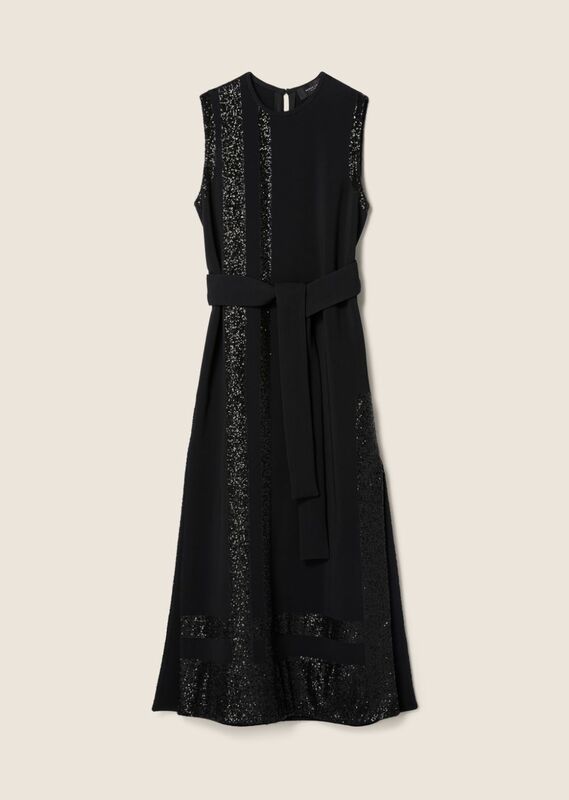 Sleeveless midi dress with allover tonal sequin stripes. Crew neckline with keyhole back. Self-tie waist belt. Side slit. Lined. Made in Italy.